It goes waaay beyond aesthetics. Similar to that one about jeans having that mysterious little pocket, this question has baffled a few of us without the relief of having a legit answer: Why are airplane windows always rounded? 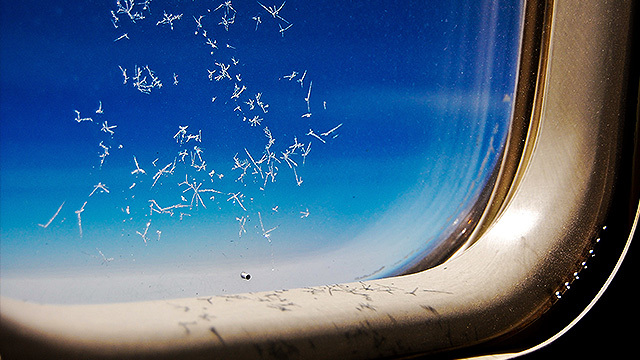 Go on, google "airplane window." There won't be a square one in sight. You might say it's all about matching aesthetics, given that airplanes are basically curvy flying monstrosities. However, the truth goes beyond that—and well into the issue of saving your life when sh*t happens way up there. According to an article from Independent.co.uk, it's all about structural weakness and stress. Apparently, square windows basically have four weak spots a.k.a. corners. When a plane, with its pressurized cabin, climbs in altitude, the stronger pressure inside (read: the higher you go, the weaker the air pressure outside) puts stress on the windows. Thus, feeble square windows are bad, bad news. The aviation industry learned this the hard way in 1953 when two de Havilland Comet airliners crashed. The buckling of the planes' semi-square windows under pressure was seen as one of the causes of the tragedies. If our explanation was too simple (or convoluted) though, here's a video from YouTube channel Real Engineering explaining the science in better detail. The next time you fly, be sure to thank the gods that that window from where you're ogling cloud formations à la Melissa Mendez lacks corners.